During the Taipei Games Show event, Bandai Namco published two new videos of JUMP FORCE. The first is a trailer that details – the story, while the other focuses on the movements of Boruto, whose first official images were published a few days ago. The trailer focuses on the mysterious Umbra Cubes that are transforming humans into deadly mindless drones called Venoms. What are these cubes and how have all these manga characters appeared in our world? 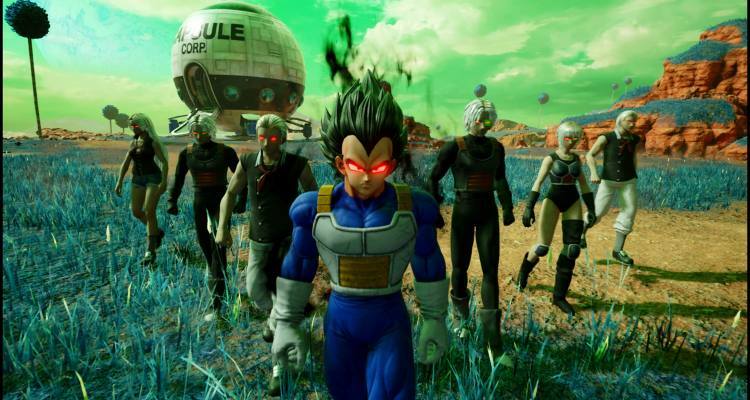 Fans can now pre-order the digital copy of JUMP FORCE through PlayStation Store, Xbox Game Store and STEAM. The pre-order of the digital copy of the game grants fans the following items: a lobby vehicle, three pieces of a costume to personalize the Avatar, a shirt with the Shonen Jump Pirate logo for personalization of the Avatar and a Theme for the PlayStation 4 (exclusive for PS4). Nine additional playable characters for after the launch. Access to the characters of the DLCs four days before they are available in digital stores. Early access to all the JUMP FORCE game, three days before the official launch on February 15, 2019. 16 t-shirts for personalization of the Avatars. Includes several consumable items within the game to support players at the start of the game. A physical version of JUMP FORCE Ultimate Edition can also be pre-ordered at participating stores. JUMP FORCE will be available for PlayStation 4, Xbox One and PC via STEAM on February 15, 2019.